Do you work for firebase? "Best real-time database provider to use." It takes a certain amount of time to load data from firebase. Also, if the amount of data is large, it easily eats up the quota for a day. It is comparatively long mechanism to store metadata as each and every document or subcollection inside the main collection should contain its id. As it is noSQL database we cannot query its users or stored files. It provides you with real-time support of database so a very good option to opt for. It is a great real-time database to use which solves many issues. "Best No-sql database for begginers"
If you are a newbie with No-SQL databases you definitely jump right into Firebase Realtime Database, you can read, write, delete and update your data quite simple, and pricing is just amazing, I personally use Firebase Realtime Database with side project because you can build an app super fast, Docs are amazing. But if you want something that scales I would not recommend it I would suggest you stick to SQL databases but it is not because of Firebase Real-time database it is because No-SQL databases can get quite messy when they grow. They do not let you download your data without backing it up. If you need to build an app fast, go for it!. saving, deleting , updating data quickly. "A great, scaling backend, with some issues"
Firebase is easy to set up and get running. It scales with your needs. Everything is us real time, so when you make a database change, users see that change instantly across all of their connected devices! There are a lot of tutorials out there for Firebase to help new users get started. The free tier offers a lot and anything beyond the free tier is relatively cheap, depending on what you are using it for. Crashlytics and User authentication are great features as well! Migrating to Firebase can be a bit complex. 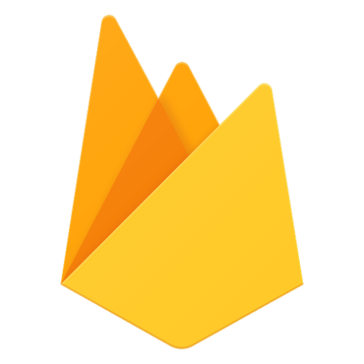 While there are a lot of tutorials out there, Firebase is quickly evolving and these tutorials are generally out of date, but can still apply in most cases. if you have a lot of users and are storing, accessing a lot of data, Firebase can end up being pricey. Firebase is feature rich and easy to use. Depending on your needs and uses, it can be cheap, or even free, but if you are pushing a lot of data, it could end up becoming very pricey. Overall though, it helps eliminate worry, offering a great, scalable back-end. When creating one of our Android applications, we needed a reliable, scalable back-end. Through all of our searching, we concluded that Firebase was the best option. It has allowed us to quickly develop the back-end and put our priority and focus on the user experience, without having to worry. "Best database service in server-less world"
The best and foremost thing that I like about firebase is the realtime database which is updated in real time and doesn't require any refresh commands.I used this functionality to develop a coding editor for my developer team for realtime code sharing.It has great authentication facility which makes sure that your security of the data is maintained.And it has tons of tutorial videos available on the internet which you can use to learn firebase because if you are a beginner it won't be easy to use firebase,but once you start using it you will definitely forget naive database storing systems.It also has a scalibility feature and the database can be scaled very easily without affecting any data in it which also a good thing about firebase.Apart from all these it is a service offered by google and is farmost the advanced database architecture.It also has a good support. The thing I dislike is that it is difficult for a new user to understand the usage of firebase easily but that shouldn't be problem because it is so much used that tons of tutorial videos are available on the internet. I would recommend using firebase instead of other database systems like mysql if your needs are satisfied by firebase because firebase is a light tool compared to mysql though it can be scaled to a bigger database it still has some limitations.If you project is totally dependent on database services than you should prefer other systems but if it is just a secondary part or some light usage of the database need to be done and if that service is provided by firebase like real time code than you should go for firebase. I use firebase for designing the database for the applications of my clients.I have also used it to develop a realtime code sharing for my team using firebase.I have a experience of 2 years in using firebase and till today it has served its purpose.I also recommended it to my colleagues to shift to firebase and now they are also enjoying developing database in firebase. It is extremely secure. We don't need to stress over the equipment since every one of the information is put away in the firebase servers. It furnishes you with 2 types: Firestore and continuous database. It is a noSQL database. It gives you ongoing information support feature.It gives web,android and ios fabricates. It give validation from numerous applications like google,facebook,twitter,github,etc. It can likewise store pictures, recordings and sounds. So it is extremely simple to store and recover information from firebase. It additionally gives highlight to have web and portable applications. It enable me to make an application that scale truly quick, it extremely easy to gain proficiency with its documentation is great and the client support is incredible; they don't take too long to even consider responding and attempt to support you. Additionally, I can have my site there, so I don't have to consume more in different administrations. The realtime database is responsive. It enables us to transfer area information for our tow truck armada consistently and gives our individuals the capacity to see where there truck is in realtime. Since a vehicle breakdown is as of now an upsetting circumstance, the solace of realizing where help is at any minute is significant. Firestore likewise gives a marvelous buddy to our not exactly realtime information. The reassure is additionally simple to utilize and the security rules offer a great deal of adaptability. In the event that what you need is a basic, in a hurry yet truly solid database framework, take the plunge!! Focus on the network and actualize essential highlights that engineers are attempting to execute and should be bolstered local in the stage. I use firebase for notices, remote config, and all the more as of late have utilized enormous question to break down client action. The FCM (Firebase Cloud Messaging) is additionally an incredible element that is quite often used to send notices to the clients. One order line can send our application in the ideal spot and it is 100% scaleable with no extra work on our part. "Best Free Database on the Market"
The best part about Firebase is that it is completely free to use (initially) and it has anything you would need. For example, I develop mobile applications and Firebase is the only place I can go to where I can store/access data in a database, create/manage user accounts, get crash reports, user analytics, and more! The price can get a little expensive if you use it on an app with a lot of traffic. I would highly recommend using Firebase in any project that you do and see the difference. You'll be able to get things done faster, it'll run smoother, your code will still be concise, and if your app is small you'll save a lot of money. I use Firebase for all of my projects. Whether I am using just Firebase's database or storage, I go there first. It's super easy to use, the website is beautiful and extremely user friendly, and it does not bog your app down, regardless of how many products you import and implement in your app. "Real time database and analytics for applications"
This allows me to create an application of sufficient size, is very easy to learn (documentation is very good) and customer service is excellent; The answer to this question will not last long and are very happy to help you. In addition, I can host my site there, so I do not have to spend on other services. Switching to Firebase can be a bit complicated. Although there are many tutorials, Firebase is growing fast, and these tutorials are usually obsolete but can be used in most cases. If you have a lot of users and store and access a lot of data, Firebase can be expensive. Use Firebase for real-time database and analytics for your application. Firebase reduces startup costs, simplifies prototyping, and allows resizing. This has allowed our team to be fast and fast without compromising stability. "Easy to both set up and use"
I liked the easy to use interface and useful functionality like using Firebase functions for serverless actions on database, and ML Kit for running machine learning algorithms on the data stored in firestore database. The realtime database is very easy to setup so I consume less time setting up and more on working on the actual project. It gets a quite expensive if not monitored properly. Firebase charges for downloads only but if not monitored properly, the downloads can really cost you a worth. There have been a lot of cases with people not considering this and firebase has sent them quite an expensive bill for their usage. It's always better to consider the file sizes that's gonna get downloaded beforehand. Firebase is really useful and easy to use for new upcoming developers. The ease of use makes it the prime option for starting your projects and learning how realtime and firestore databases work. Using firebase functions, we are using data from firestore database to teach our machine learning algorithm to load most appropriate data based on user request. We are using multiple firebase projects to solve our business problem by providing data of different type from different firestore databases to the user. The data includes info about the company's wiki, other internal company related processes. Current users for the project are internal employees but in future it will be useful for other companies and general user as well. "many bugs and incomplete functionality "
many connected services that make life easier if implemented in a correct way. Cloud functions on realtimeDB and firestore is amazing feature. all connected with authentication..
Firestore JS SDK and IndexDB implementation very help full for offline data and low speed internet when completed and pass user experience..
- long delay waiting to confirm a bug. - biggest problem when considering some of these bugs as expected behavior. - Authentication does not support iOS WKWebview. - RealtimeDB and firestore JS SDK offline data handling ( get , update) very limited..
server-less apps, offline DB, push notifications and analytics. generally cant go live with these feature for many bugs that we are waiting to be solved without timeline plan!!! expect messaging works perfect! "Best Database For IOT Project"
It is one of the best service provided for database creation. It is very easy to setup and run compare to other application. It provide real time service which means if any change occur during data collection than it reflect on database. It is also easy to setup with Android application and using this we can store, analyze data of our android application. Documentation is also easy and reliable. It also help to give real time update to your client. It is good for user but most of main feature is included in premium. Fire base is constantly change and provide update which is hard to use. This is best for android developer because it is very easy to connect with Android application. They can upload real time data and also use hosting for database. It is also good for IOT device. I only use this data base once during my IOT project which was Plant health monitoring. In this i collect all data using IOT device and upload directly on fire base and see what change occur in real time and also analysis this data using this tool. "Firebase- it's great for your mvp app and scales well to even medium to large size applications"
Really easy to get it up and running. It's a BaaS which means that it handles basically all of your backend needs for you. It's realtime which means whatever changes happens on the database, everyone sees immediately. This allows you to build cool stuff like a text editor that can have multiple people editing at once like Google docs. Or a real-time messaging in your app and being able to see when people are typing in the chat. A lot of tutorials on udemy also teach using Firebase so that is great as well. It means there are ton of support/tutorials/documentation on it. Which hasn't always been the case considering how Firebase was brand new just a few years ago and documentation was severerly lacking. It is also relatively cheap. Costs me dollars a month to have it up and running with thousands of active users every single day pulling down and pushing up images in real-time. Not as cheap as AWS or GCP, but for the convenience, it's well worth it. If you want to migrate out of Firebase, it won't be exactly easy. Since you would be using so many of Firebase's built-in features and the backend. You may have to restart and rebuild a lot of the data you have over. On the other hand, you won't have to migrate everything off of Firebase since Crashlytics/Fabrics was bought by Google and you can keep your crash analytics on Firebase while moving the rest of the database off the platform onto AWS or GCP if you need to do so. Also, it's a real-time node-like database which means that it comes with all the organizational problems that comes with that as opposed to a SQL-like database. Just give it a shot. Make an MVP app/project and test it out. See how it feels. There are tons of recent documentation that Firebase support has put up. It's easy to get it up and running. - Real-time analytics like crash reports and number of installs etc. If your app does run of a centralized DB, and is updated by a lot of users - then it's more than capable of handling the Real-Time data updates between devices. Stored in the cloud so readily available everywhere. They Host the data. -Meaning if you are storing a lot of data, you don't have to worry about hardware! The entire database is backed by a real-time connection to the back end, and if you use the Firebase SDK, you get live updates in your app any time something changes. This is ridiculously powerful. You don’t have to constantly poll the server or build pull-to-refresh controls into your app, and no need to send a push notification if you want to control the app updates. Unless your app runs of one centralized database updated by a vast quantity of users, it's a major overkill. Storage format is entirely different to that of SQL, (Firebase uses JSON) so you wouldn't be able to migrate that easily. Reporting tools won't be anywhere near the ones of standard SQL. Costs! -Limited to 50 Connections and 100mb of Storage! You don't host the data, Firebase does. And depending on which server you get put on, viewing there up time there seems to be a lot of disruption lately. "The best push notification service provider"
It's easy to implement, the documentation is clear and reliable. They have great support as well. We use it for most of our projects and I have encountered almost no issues with it. The payload for the different devices can be a bit tricky when you're integrating it for the first time. Sometimes there is a delay in the push notification being delivered, but that has happened once during a downtime period for the service. I've used Firebase with Node on most of my projects that have an app. I am super satisfied with it and will keep using it in the future. It's great for native app - ios, android, as well as hybrid - I have used it with Ionic. "From Angel to Seed to Series A. " As a co-founder of a tech startup, in the Midwest, Firebase and all of its products are great for getting off the ground quick and rapidly prototyping. Being in the mid-west developer talent is hard to come by and by going server-less with Firebase and GCP we can redirect our engineering talents towards client side efforts. Very specific here: with real-time streams from Firestore, limits and advanced filters convert the stream into a single snapshot - defeating the purpose. I have not found a way around this issue yet. It's a fantastic place to start. MeshMyCampus is using Firebase to create real time communication environments for universities at scale. We automatically create group chats for all of your classes, clubs, dorms, teams, and departments. Firebase helps us achieve that level of scale with real time fluidity at an affordable cost. "The most robust real-time database in the market"
`Firebase push capabilities have enabled my firm to give our clients real-time updates whenever new data is available. Firebase is also very reliable and the crash reporting feature included enables me to keep track of my crash logs. Firebase only allows for use of query filters after upgrading to premium version, this means that for free account the user is unable to completely utilize all the features. Also free accounts have limited space and simultaneous connections allowed. Firebase is the best real--time database any developer could ever wish to work with. The service delivery is excellent and the software is very reliable. Firebase is a life saving software. From the fact that there is no database required, my company is able to save on finances that would have been used to purchase hosting space. Our relationship to our customers has also been well strengthen since firebase enables us to get products to production in less time. "Firebase- a good solution for realtime applications and non-realtime too!" it provides a good solution for realtime applications. you can send and receive messages/data/files without having to manage the code for networking and storage. It has got good support for web, android and ios. it's sdk is easy to use and has got good documentation. it is quick to get start with it. it has other features like authentication,test cloud lab,analytics and notifications which is really amazing to use. It even has remote config and web hosting in its feature list. its integration is really amazing. you can send notification to user based on device/user segment or all devices. its performance is really amazing. worth a go! Most amazing is the cloud functions which add more dynamic behaviour to our app. it sometimes get difficult to decide how to store data in the database. also it is somewhat difficult to do complex queries for data. it has got limited querying although it is sufficient for most use cases. it is easy to use and gets you quickly started with your realtime application. it is really efficient in terms of network management and has got good support. it is priced right and has got good tutorials. it can easily be used in your web/android and ios project. in web, there is support for frameworks like angular and polymer. Features like remote config,realtime database and storage,notifications,analytics,notifications are really worth looking into. i have been using it for a chat application. it helps in authenticating user, sending/receiving messages in realtime and send push notifications when a new chat message arrives. Firebase is easy to get set up for your project. It is designed to handle most of your backend needs. The realtime database and cloud firestore are realtime, so any changes made to the database reflect immediately on your app/website/etc. There are a lot of tutorials, guides, and documentation out there to help get you going. The best part is that it is cheap, depending on use. There is a free tier which helps get you going immediately, but there is also a monthly payment tier and then a pay as you go tier. You get to pay for what you use, nothing more, nothing less if you need more than the free tier and go with pay as you go. Firebase is newer and constantly changed. Some of the documentation, tutorials, or guides that you may find could very well be for an older version and no longer be relevant and could cause some issues if you choose to follow them. If you are switching from some kind of SQL database to the Realtime Database or Cloud Firestore, it can be quite the hassle. If you start getting an influx of users and activity, you could end up having to pay quite a bit as it can get expensive quick if you aren't careful. I would recommend giving it a try. You can always start with the free tier to get a feel for it and try it out and then work your way from there should you need more than the free tier offers and decide to continue using it. Firebase has helped us relieve some of the stress on our servers by moving our database to the Cloud Firestore. We also save time by utilizing the Authentication part of Firebase, allowing our users to easily sign up and sign in without us having to check the database or without us having to worry about securely storing passwords. "Firebase enables rapid app development like no other"
Almost any piece of backend software that you might need to set up a (web) app can be replaced by Firebase's suite of products. It's stellar real-time database and authentication system are both a breeze to set up and can get the most complex parts of building your app out of the way instantly. Storage can be used to upload all your large files too, and if there is any logic you need that isn't offered by these products Cloud Functions enables you to tie it all together running tiny node functions in the cloud. If you are building an app, I would strongly recommend using Firebase to get started, and you might use it forever. Combine with Polymer for fast Progressive Web App development. There is most definitely a learning curve on the Firebase products. They have distinct architectures that are great but need some time to get used to. Even the products differ in architecture and approach which can undoubtedly lead to confusion. The documentation is incredibly confusing and hard to use. Take your time to go through the confusing documentation and get a feel for how things work, also the CodeLabs are worth it. Firebase reduces the costs to get started, makes it easy to create prototypes and enables you to scale with them. It enabled our team to be agile and fast without compromising on stability. "medical records for the refugees "
the ability to transform the simple and the hard ideas into a real product to test with and start user testing that then moves you to edit your work and make as good as possible is just a unique feature that helped our projects to lead. "It's making possible my startup"
It allow me to create an app that scale pretty fast, it really simple to learn (its documentation is really good) and the customer support is great; they don't take too long to respond and make a big effort to help you. Also, I can host my site there, so I don't need to expend more in other services. The API to query from the database; they really need to improve that. I use Firebase as my main database and I don't like to invest too much time trying to solve problems that I was trying to avoid in first place. Just give it a try. Start with a small hack and the jump to production, it's awesome! I'm creating the technological infrastructure of my startup. Basically, I'm developing an app that handle all the orders of an On-demand delivery startup in Venezuela. In the first days, It was necessary a solution to automate all the orders that comes from clients as cheap as possible, so Firebase was the best option. We use the Free version of it for a couple of month before become paid customers. During that period, we were figuring out how to create a better product for our clients without expend any penny. And that is one of the benefits; to have the opportunity to create something that works really well almost for free, It's a WIN for every startup in any country. "Used firebase to act as SSO for one project and as a datastore for a simple todo/shopping list app"
The visual representation of the different projects and their sub folders. While the visual representation of the firebase console was helpful, at some points it did refresh on its own - when I made changes via the API - and other times I would have to refresh and there was a little bit of misalignment in the fields. Unsure, need more time to look at it. The SSO aspect of using firebase to integrate different account policies on single page apps and other small/agile apps is great. Mostly internal business problems, since the SSO that we are using firebase for right now will be 'graduated' to something more private (not really my choice). "Game changer for realtime truck tracking"
The realtime database is very responsive. It allows us to upload location data for our tow truck fleet every second and provides our members with the ability to see where there truck is in realtime. Since a vehicle breakdown is already a stressful situation, the comfort of knowing where help is at any moment is invaluable. Firestore also provides a terrific companion for our not quite realtime data. The console is also very easy to use and the security rules offer a lot of flexibility. It would be great if there were more advanced query capabilities for Firestore, but it is an understandable architectural limitation that is a tradeoff for the great performance. For the realtime database, it would be great if there was a way to automatically scale as the load increases without needing to use a sharding strategy. Tracking tow trucks in realtime to provide our members with a higher level of comfort that help is on the way. "Overall enjoy Firebase, but need better docs"
I like the resources available, like being able to use remote config and FCM. A lot of things that a mobile app needs are available in firebase. I think one of the issues we've run into is that we were trying to set a user attribute with RemoteConfig, but we could not get the flag to update in real time as quickly as we needed to. It seems to take a certain amount of time, or else you get throttled. It is not very convenient when we are enabling and disabling features for certain users that things don't update in real time, or we have to cache to avoid being throttled. We've also experienced some unknown issues with push notifications, where we randomly get a 500 response, with little to no explanation for why or what went wrong. We've reached out to the firebase team to discuss the issue. We use firebase for notifications, remote config, and more recently have started to use big query to analyze user activity. "Great Option for Beginners and Small Apps"
I worded with a team of developers on multiple projects hosted on Firebase. The biggest project we worked on, relied on Firebase. For our engineers, it was very easy to use, user friendly and allowed for the basic functionalities we needed for our app. We honestly had concerns about how scalable our app would be was while hosted on Firebase. Although firebase was easy to use, the thought of having to rebuild on our own server was daunting after spending so much time on Firebase. I do wish there was a very simple way to migrate work done on Firebase to another server, whether a personal business server, or a google cloud server. That would have saved us tons of time, money, effort and anxiety. If there is a way to do this, more visibility on that would be helpful (especially for cases where specific approaches / hacks have to be used in order to build certain functionalities using firebase). Depending on the complexity of the app, firebase can be limiting - that is something we had to work around and saw as a potential problem in the near future. Our goal was to create an MVP in a short amount of time, with a team of developers - which requires ease of use, transparency, a simple platform and frankly and affordable option for hosting the app initially. For us, it served its purpose. I am just hoping to find a good option from migrating our work over to a server with the least time and complication. Que para entrar a ver tus datos con respecto a la publicidad tengas que salir a otra plataforma diferente. Integrar la plataforma de publicidad dentro de firebase , no que ahora tienes que salir a la otra plataforma. Recopilación de errores y monetización de la aplicacion. "The best Realtime Databse for Applications"
Firebase provides a great set of features. The database provided by Firebase is a blessing for app developers. It's a realtime database which means all the changes made on one instance of the application will automatically be reflected on other instances. New features introduced in Google I/O 2016 adds to the already amazing feature set of Firebase, making it capable of handling most of the application database requirements and as well as remote configurations and the cloud notifications. The only con of Firebase that I've come across are inadequate querying features. Firebase provides you with a set of essential features which can be utilized by almost every application. It's recommended to use FCM rather than any other service to notify your users. The offline capabilities and syncing is flawless. If you don't need to query much, then Firebase is the service to go for. I've been using Firebase as a database for storing data on Android phones locally for offline availability and syncing it with Firebase in realtime when the device is connected to the internet. The FCM (Firebase Cloud Messaging) is also a great feature that's almost always used to send notifications to the users. Two-way binding with AngularJS. That is amazing. We provide real-time sports information to our app users, and this feature was the most important to us when selecting a database backend. We didn't have to write any extra code to allow users to see real-time information without having to click any type of refresh action. Lack of good search and query functions. Other NoSQL database have much easier to use filter and search features. There isn't many native functions to find exactly what we're filtering. In many cases we have to take extra trips to the server to avoid getting back too much data. There has been a lot of improvement in this area since moving to the Google console. This version looks more promising. Be aware that searching your data may require extra work. Despite how easy FB claims, the process is not so easy. Elastic is not easy if you've never worked with it before. The ability to display information in real-time between clients without having to refresh screens. Using JSON based design is extremely helpful. Our app is helping resolve issues that sports programs in the youth and amateur have had for many years. We help them keep track of scores and stats in an easy to use mobile UI. Using Firebase, we don't have to worry about our infrastructure at all. We can just continue to application and add features as needed. In addition, we can now host most of our files on Firebase without having to purchase a CDN or some other service. One command line can deploy our app in the right place and it is 100% scaleable without any additional work on our part. "Excellent Backend as a Service"
I love how easy to use their deployment tools are for their built-in hosting, as well as how simple and approachable the database is. They give you access to a ton of code templates which make authentication super simple, no matter what your skill level is, and their web hosting is SSL by default. I haven't found any other backend-as-a-service product that performs as well or offers as much functionality as FireBase. If you are not doing any data processing that would require running your own backend, look no further than Firebase. They provide exceptional quality and ease-of-use for basic applications. The development web server built into the Firebase CLI does not include live reload functionality, which is a bit unfortunate, but really isn't the end of the world. Take the time to understand what your needs are. If you are writing a basic application without a lot of data processing requirements, Firebase is likely to fit your needs exceptionally well. However if you are doing big data or otherwise need to do data processing on the backend, you will need to consider how FireBase would fit into your app, or if you would be better off with something more powerful like Amazon Lambda. I've only used it to host some small sites for personal projects, but it has made those projects significantly simpler since I don't have to host the code on my own server, and their authentication tools are a dream to use. "Great platform for web development"
It is a relatively easy way to manage database, create advanced features such as chat apps, etc. There is also free version for people creating basic apps without advanced features. Some features are very limited; for example, you cannot set the strength for the password, and you can create a username-based authorization. The tutorial is also a little bit confusing and not a good guide for beginners. We created a web application using Firebase. It is a easy and secure way to get started without too much coding involved. "Fast to get off the ground"
Some basic features are missing. For example there is not way to add basic auth to hosting, which is a must when having staging and development environments. Firestore lacks basic features like counting records. Keeping metadata on the firestore data becomes hard and unreliable. Pay attention to the community and implement basic features that developers are struggling to implement and should be supported native in the platform. Fast web hosting. Serverless backends. On device object detection with ML Kit. "A very good (but not quite great) Backend as a Service"
However, no C# libraries (other than for Unity, which are not useful elsewhere). This means relying on 3rd party solutions (like Xamarin's or open source projects) that are not feature complete or force you to translate native objects to C# objects. Also, you really have to search for documentation to user AngularFire (the Angular2 to Firebase library). Great for web and native mobile projects. Hoping for better support for cross platform projects. Mobile Backend as a service. Benefits: very fast up the learning curve and shipping a product. "Firebase Database and Functions Review"
The most impressive things I found in firebase is Real-time Database and Cloud Functions. Also Great Documentation one of the easiest I ever read. Easiest Integration on one or two steps. Can't able to fully replace backend with firebase. If you are a mobile developer and thinking of using mobile as the backend , I highly suggest using Firebase. In my company, I use firebase for only for one purpose to create the backend for any chat implementation in any app. I like that it is backed by Google. It will never be acquired by Yahoo (like Flurry). It will hopefully will continue to improve. It was relatively painful to implement compared to Flurry analytics. No obvious COPPA-compliant analytics like Flurry has. Event tracking feels more complicated that it should be. Analytics take quite a long time to show up, making development testing hard. Use custom events for logging. The stock events take an item ID but there seems to be no way to break out the items in the dashboard. Start early. It took many hours for events to appear in the dashboard. I use it for in-app analytics to track user behavior, especially related to advertisements and other ways of sending app users to the app stores. Also required (?) in order to enable AdMob advertisements. "Really Quick database for development and read/write operations"
Their APi documentation is extensive and very easy to use. They also have a ton of github based open source frameworks that let you interface with your stored data in multiple formats. Firebase has a hosting service which we also use. However, the firebase hosting doesnt have any version control tools. Linear data makes it easy to search but sometimes the developers try to code some search and access operations into the application code. That sometimes makes the app very slow. Look for open source frameworks like chat applications, authentication service etc which you might want to use out of the box or fork over into your application. Definitely a huge timesaver. One of the biggest perks of switching to firebase for me personally. We wanted to develop a lot of quick prototypes of proof of concept applications for our business. We will then use them to demo these plain vanilla applications to potential clients before full development. "One of the best Real time Database with tons of integrations for android. " Firebse is very easy to use. It has great API and documentation is thorough. It provides fetaures Analytics, metrics. It allows you to authenticate users. You can use Google, facebook and twitter for auth along with the email password auth. It provides integrations tailored to IOS and android which come in handy and are easy to implement. I found the query engine in firebase to be a little less developed. You can query but in a limited way. Also upgrade from legacy version to the latest one causes certain issues which need to be resolved. If you are considering a RealTime database for your app or website, go for firebase. It will give you a login flow and many more integrations tailored to you needs. I made aandroid app using Firebase as the database. It allowed me to store all user data securely and in one place. The thing that i dislike is its poor documentation and tutorial. It becomes hard to figure out the features provided by the platform and requires lot of digging into the documentation to find your needs. To host mobile app backend on the cloud and the benefits i found are that it takes less time for writing server side code on firebase and saves time to focus on writing code for mobile app. Also using this requires no load balancing and server deployment as it is all maintained by firebase. "Simple Backend As a Service"
I work with Firebase only focused on the frontend development of my app, job databases, Real Time and Backend total Firebase help me and this is incredible. the disadvantage is that it may have Firebase may not be so easy to integrate it with third apis. I recommend Firebase for frontends developers who do not have the necessary expertise to develop the backend or who want to start too fast and do not want to worry about the server side and focus on the frontend. I developed with my Firebase with angularjs, and it was a great experience. "Fast, simple and elegant database"
It's data editor bundled along with the dashboard, although very cute and intuitive, it's not really simple to edit. I've messed with some data thinking I was adding a brand new row of data, instead I edited some valuable piece of data. Also, it could've come with some kind of versioning system, as to avoid that type of misfortune. If what you need is a simple, on-the-go but still very reliable database system, go for it, never fear! I needed to rapidly deploy sample BI data onto my customers' webservices. So, as there was no time to get it done with any other kind of database, as well as their respective APIs, Firebase was THE choice database for me. I have no regrets, it's steady, reliable and easy to use. ease of authentication from third party , ex. facebool, twitter etc. "Simple to Start your App with"
The documentation and well supported step-by-step tutorials help you to setup everything and anything you want. Really recommended for beginners to use this as their application backends. May make professional developers feel a bit uncomfortable while using this tool for complex applications. But it does handle a lot of complexities for a quick starter app. I think Firebase is great for beginners, takes away all the complexity of setting up a backend server for web app or mobile app. Used this as application backend to handle user authentication and data store. The documentation was enough to get things done.